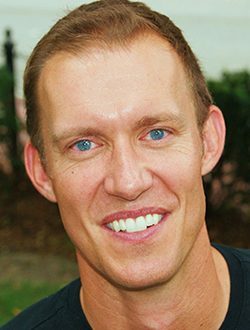 Often called a Digital Dale Carnegie and The Tony Robbins of Tech, Erik Qualman is the author of Socialnomics: How social media transforms the way we live and do business. Socialnomics made Amazon’s #1 Best Selling List for the US, Japan, UK, Canada, Portugal, Italy, China, Korea and Germany. His book Digital Leader propelled him to be voted the 2nd Most Likeable Author in the World behind Harry Potter’s J.K. Rowling. He gave the commencement address to 4,000 people at the University of Texas and has given keynotes for Coach, Sony PlayStation, IBM, Facebook, Starbucks, M&M/Mars, Cartier, Montblanc, TEDx, Polo, UGG, Nokia, Google, and more. His work has been featured on almost every media outlet including 60 Minutes, The Wall Street Journal, Forbes and ABC News. Socialnomics was a finalist for the „Book of the Year” and earlier this year Qualman was named a Top 50 Professor in the world. Qualman wrote and produced the world’s most watched social media video „Social Media Revolution.” In his past, Qualman was Academic All-Big Ten in basketball at Michigan State University and in 2011 Erik was honored as the Michigan State University Alum of the Year. He also holds a Guinness Book of World Record for the longest continuous podcast.